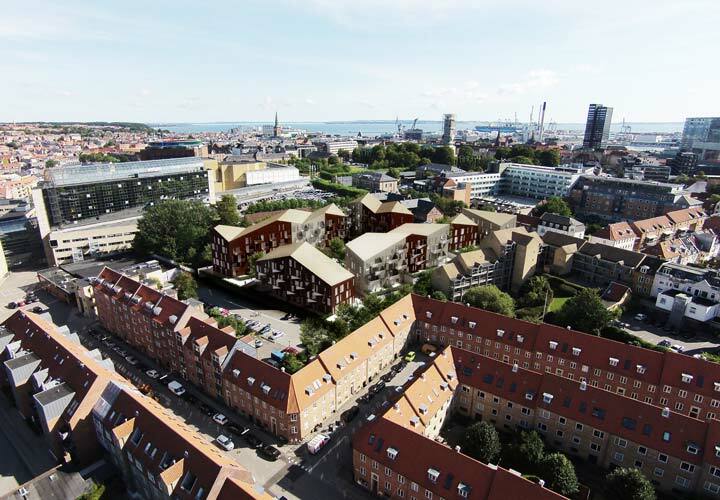 Valdemarsbjerg is a proposal for the development of a new residential complex on a very attractive site in the heart of Aarhus, located next to the city’s concert hall, art museum and city hall. 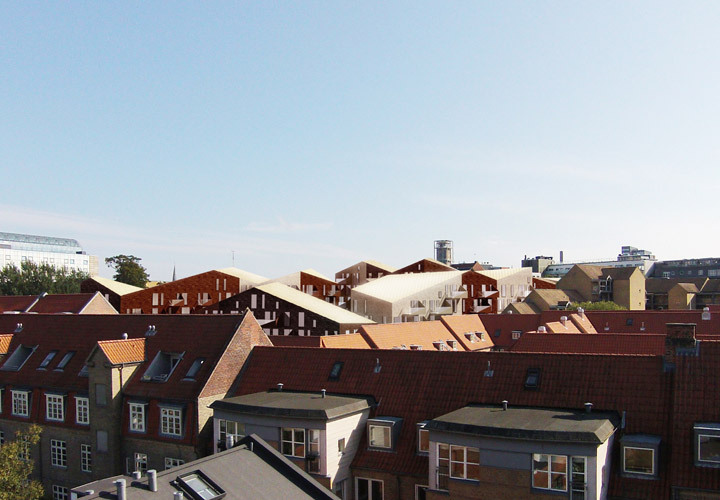 The project aims at creating a modern and distinctive addition to the urban fabric of Aarhus, while at the same carrying on its building tradition. 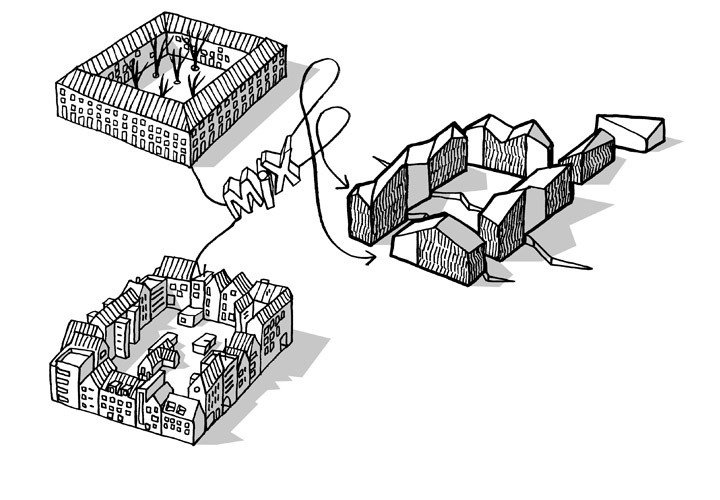 Therefore, Valdemarsbjerg uses the city’s own building blocks and combines them in a new way, which links city, building and home together in a characteristic formal language. 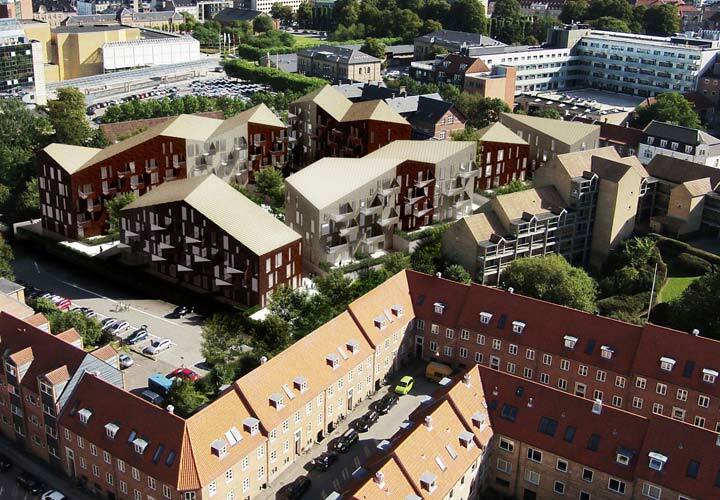 The residential building stock in downtown Aarhus and the neighbourhood of the site is characterised by two predominant typologies: the classic perimeter block and the composite streetscape of townhouses and rear houses. 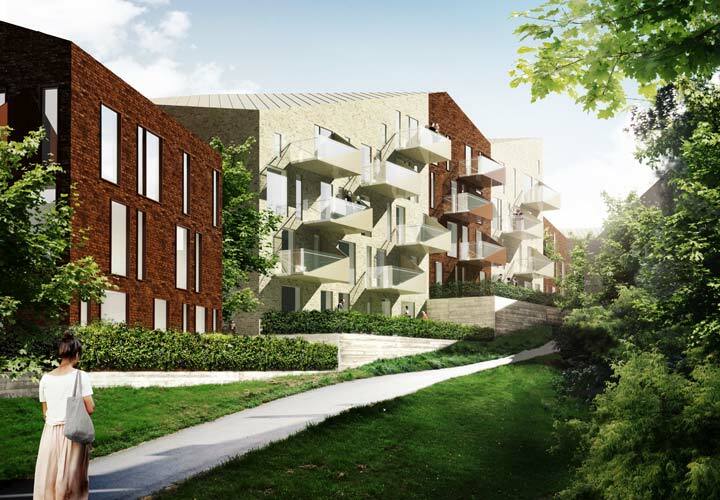 The basic architectural concept of Valdemarsbjerg combines best elements of both types – the perimeter block’s dense structure and community oriented qualities with the composite streetscape’s diversity, tactility and human scale. 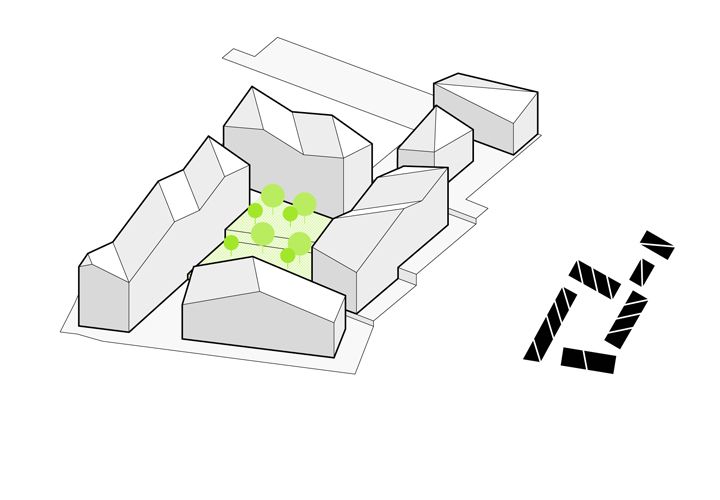 The overall complex is divided into a spatial composition of six volumes. 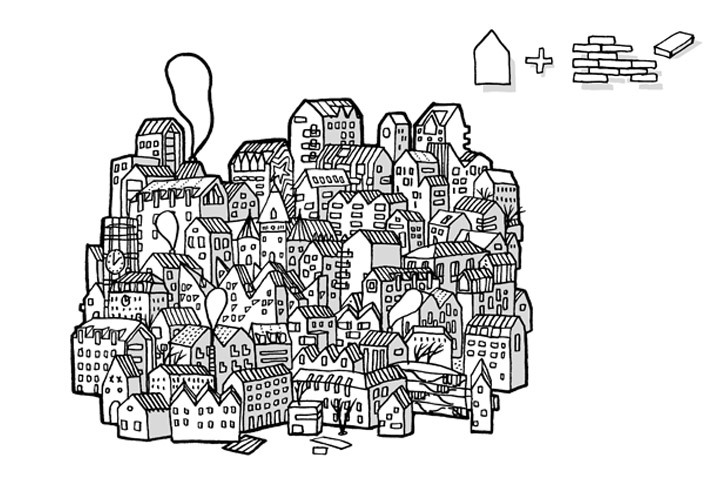 On the one hand, this reduces the building scale in order to relate the large complex to the human scale. 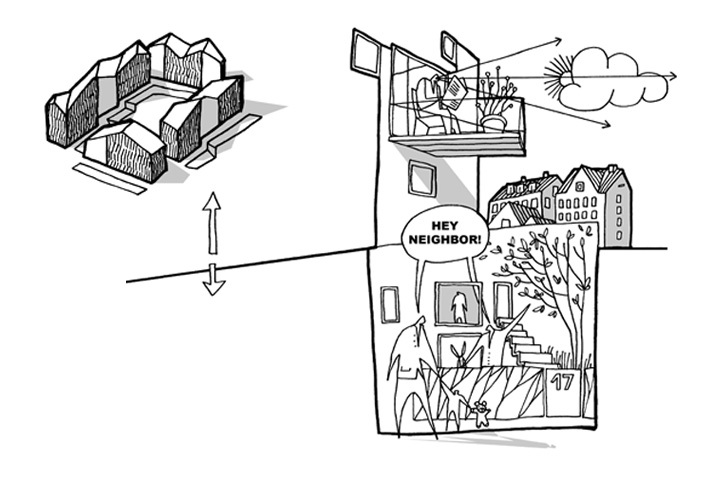 On the other hand, this leads to a large variation of dwelling types with different sizes and qualities, which accommodates the needs of diverse group of residents and supports social diversity. To the east, the complex consists of two smaller buildings with a total of seven townhouses, while the four remaining volumes form a perimeter block-like structure around a central yard. Instead of the traditional closed block, a more “porous” and varied structure allows for movement and views between the street and the green common space of the yard. Alternating brick colours for each townhouse/stairway further reduce the scale and create a easily readable architectural expression. The complex is tied together by an interpretation of the traditional pitched roof, which is applied in a playful and expressive way. The roof surfaces on the individual volumes rise and fall creating a series of ridges, which follow the sloping terrain of the site and run diagonally to the volumes’ rectangular footprints. 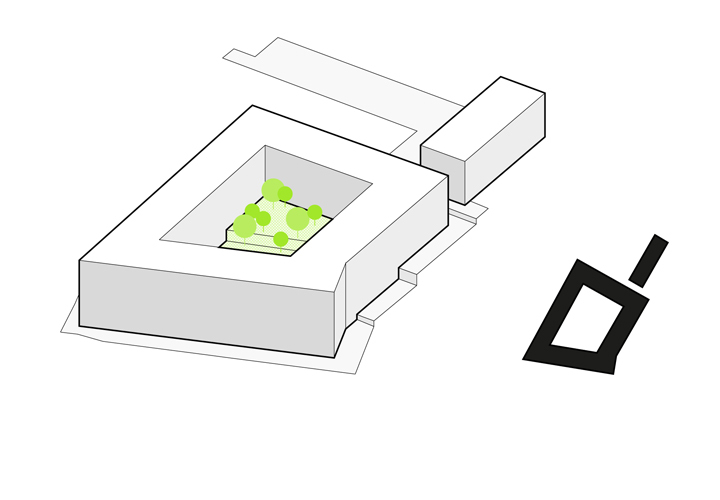 The roofs contribute to a more transparent building structure in relation to its surroundings, while at the same time adding spatial qualities as well as optimising views and daylight conditions for the top floor apartments.